I have uplodated the html in the master page catalog display template folder.It has also generated the js file. 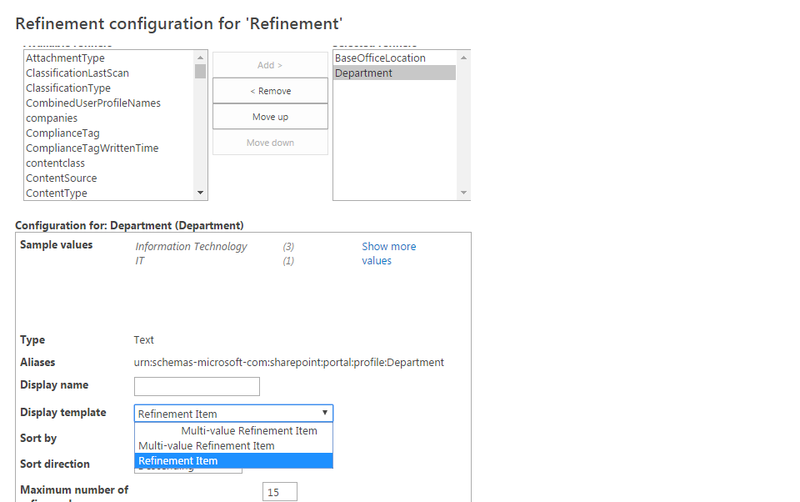 But i am not able to see the newly created display template in "Refinement confiruration for refinement" as shown in the image. Not the answer you're looking for? Browse other questions tagged search refiner or ask your own question.